Chickenpox epidemic? No this boy was stung by an army of angry wasps! Chickenpox Epidemic? No This Young Boy Was Attacked By Hundreds Of Mad Wasps… Terrifying! 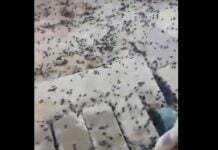 This is a terrifying experience: A swarm of angry wasps attacked a boy and his father in Florida. Luckily both survived! 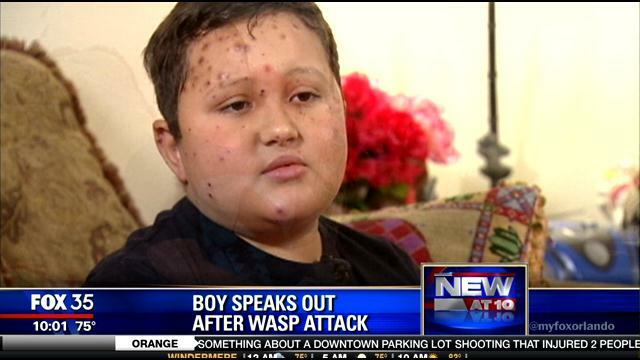 This seven-year-old boy was stung by hundreds of wasps in Altamonte Springs, Florida on June 18, 2014. Now after one week at the hospital, he is happy to be back home, although his face and body are still covered by bumps and rashes! His name is Jordan Alvarez, he is seven, and survived one of the most terrifying experience! He was stung by an army of mad Yellow Jacket wasps from a giant nest in the ground while walking with his father along the Wekiva River in Florida. The father remains hospitalized (allergic reaction?). 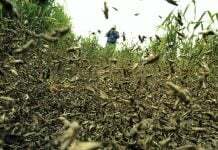 According to doctors, they were stung (together) up to 700 times! 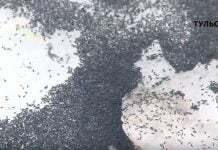 Moreover, bee keepers estimate about 50,000 of these angry wasps were living in the nest. You imagine? A luck they did survive!